This post is an update on the rice water challenge. I began the rice water challenge on January 8, 2019. I fermented my brown rice but, I made the mistake of not adding enough water in beginning. This happened because I didn’t take into account that the rice would swell. At first, I only added the amount of water that you would use to cook rice. I have my know-it-all moments 🙄. Moving on lol. I went back and added water and let the rice ferment for about 3 days. I prepped my hair by pre-pooing with extra virgin olive oil and extra virgin coconut oil. I let it sit in my hair overnight. I did this so I could be one step ahead the next morning. It’s a lot harder to get things done when you have a newborn. The next day my hair was super soft and easy to detangle due to the oils. I put my hair in 4 sections after detangling then I washed my hair and conditioned it. You can look at my ends and clearly see I need a trim. Straggly ends means time for a trim which I will be doing myself. 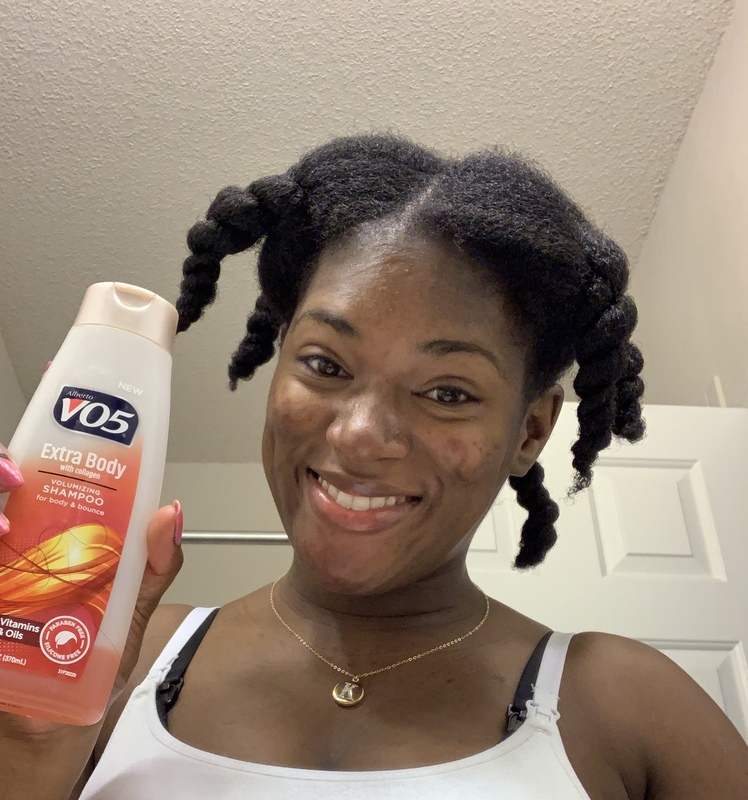 I then put the rice water in a spray bottle and applied it to my hair, massaged it in and let it sit while I watched the latest episode of Grownish and checked emails (20 min). I didn’t like the way the rice water smelled or how it felt when I detangled my hair. But, since my hair needs to be trimmed, that may be the reason why it’s harder to detangle. 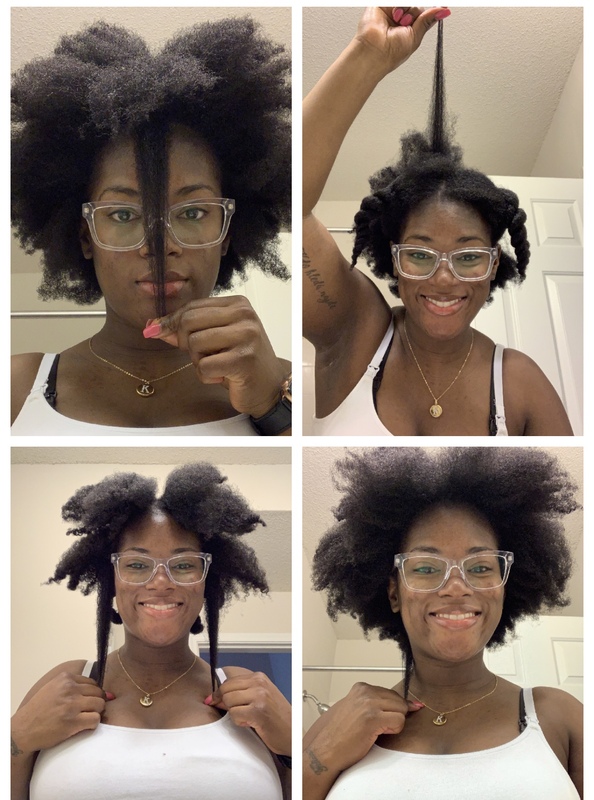 Here are pics of where my hair stops – keep in mind some of this will be gone as I will be dusting my ends. My hair in the nape area is shorter due to the way my hair was cut back in 2017. It was cut in a bob just so you know. After trying the rice water 3 times… I’m going to say that I don’t like it. I don’t think the smell is worth it and I didn’t like how my hair felt during and after applying it. I prefer to use a regular deep conditioner on my hair. 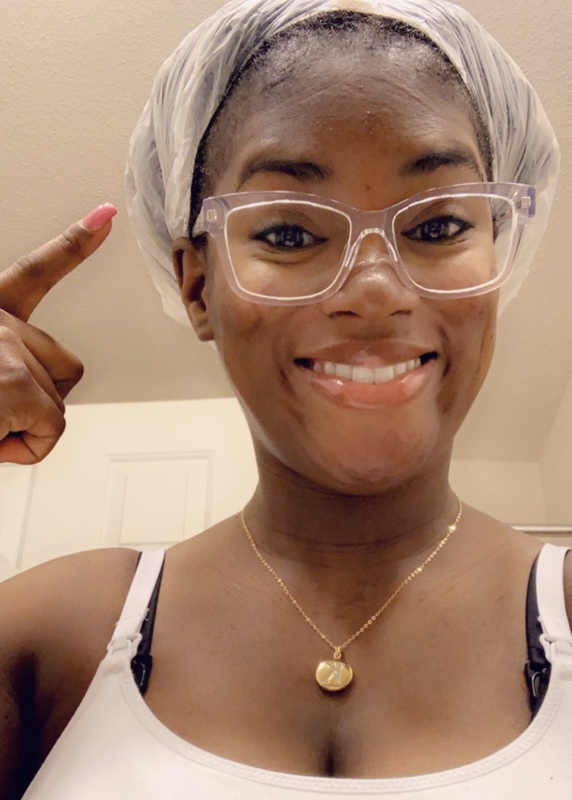 I was really hoping that the rice water would help though since I am beginning to go through post partum hair loss and as a result my edges are thinning. I don’t think I will ever try something like this again. If my hair is doing fine then why change what I’m doing it? My hair felt rough and brittle while trying this challenge. This could be because I used brown rice though. On my final wash day I used the rice water and was fed up. I applied my Shea Moisture Manuka Honey & Mafura Oil Intensive Hydration Masque and when I rinsed it out, I immediately felt a difference. My hair was easy to detangle without ANY products. 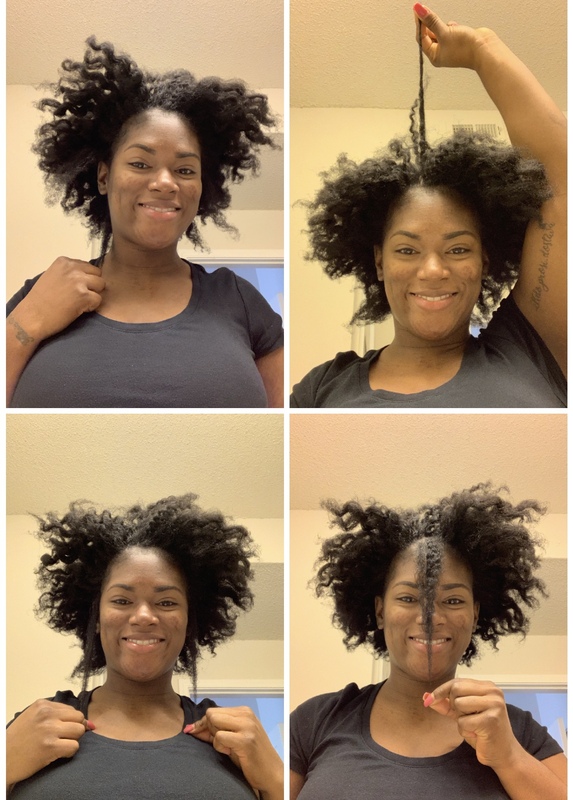 Then I followed up with my Shea Moisture JBCO leave in and Curl Enhancing Smoothie as usual and twisted my hair up so that it could air dry overnight. One thing I noticed is where my hair stops on my face. Before it stopped above my chin, and now it’s below my chin. Everywhere else is hard to tell by looking in the photos. I can’t really say that the rice water contributed to my hair growth in these three weeks because I don’t know for sure if it did. It could have been regular hair growth. What’s next for my hair? I plan on installing a protective style in my hair. It’s still a little cold outside and I want to continue to keep my hands out of my hair and minimize the manipulation. 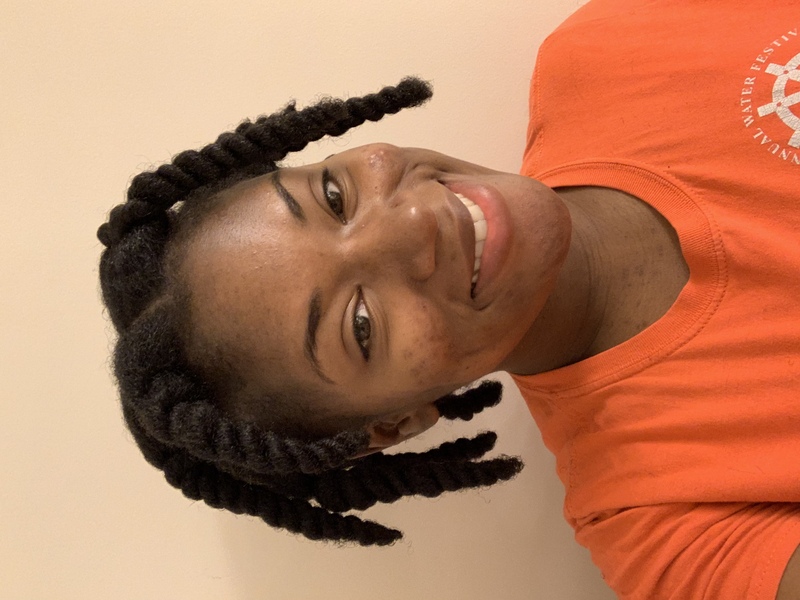 Due to my postpartum hair loss I want to be careful not to add any extra stress or strain to my edges and hair so that it can continue to grow. More than likely I will do a style where my edges can be covered and one that will allow easy access to my scalp to moisturize and oil. I won’t have to worry about my hair peeking through like how it does in twists. 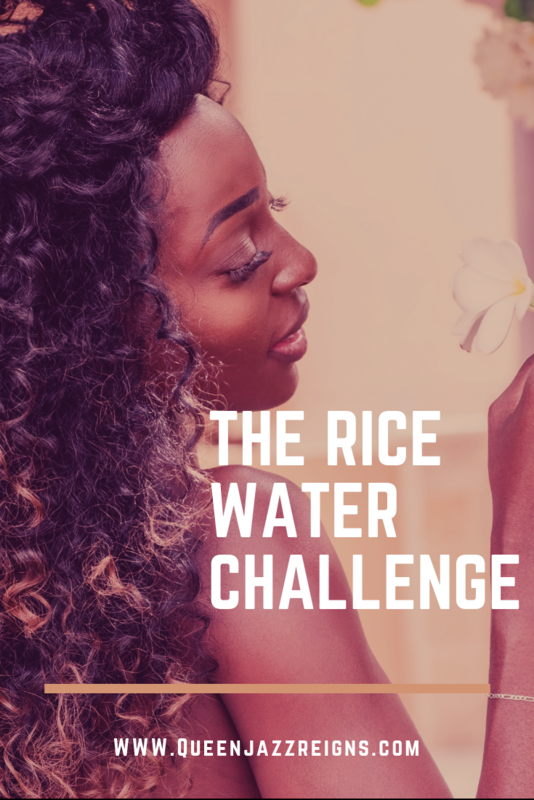 Have you tried to the rice water challenge? What were your results? Let me know what you did differently in the comments!